Cincinnati Belle locks through behind the Dleta Queen. Here’s a picture I got last week of the Delta Queen locking through with the “Cincinnati Belle” late one night. 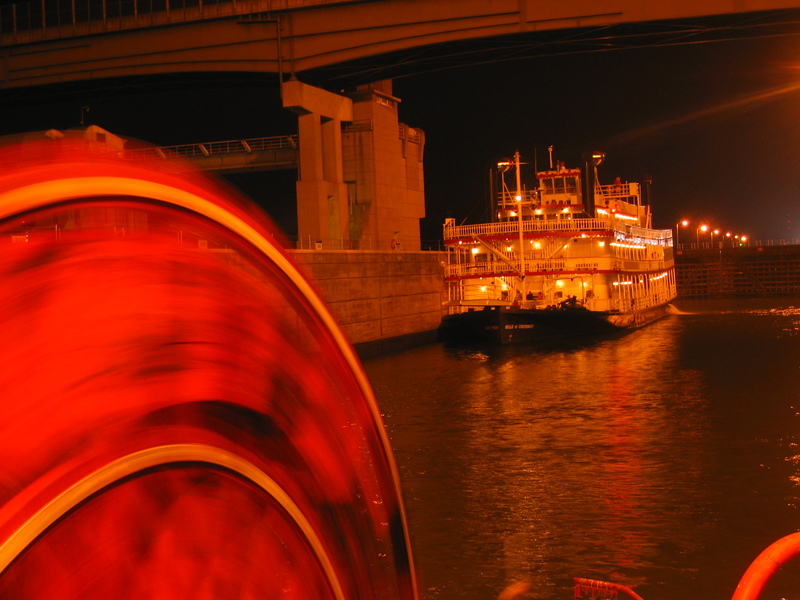 Even though she’s a modern, deisel-powered recreation, it was fun to see another paddlewheeler lock through with us. At least boats like the Belle help keep the idea of steamboat history alive.